Rebiana comes from the sweet leaf of the stevia plant, native to South America. Dried stevia leaves are steeped in water, similar to making tea. This unlocks the best tasting part of the leaf which is then purified to provide a calorie-free sweet taste. Natural flavors complement the clean sweet taste of Truvia natural sweetener. Erythritol is a natural sweetener, produced by a natural process, and is also found in fruits like grapes and pears. 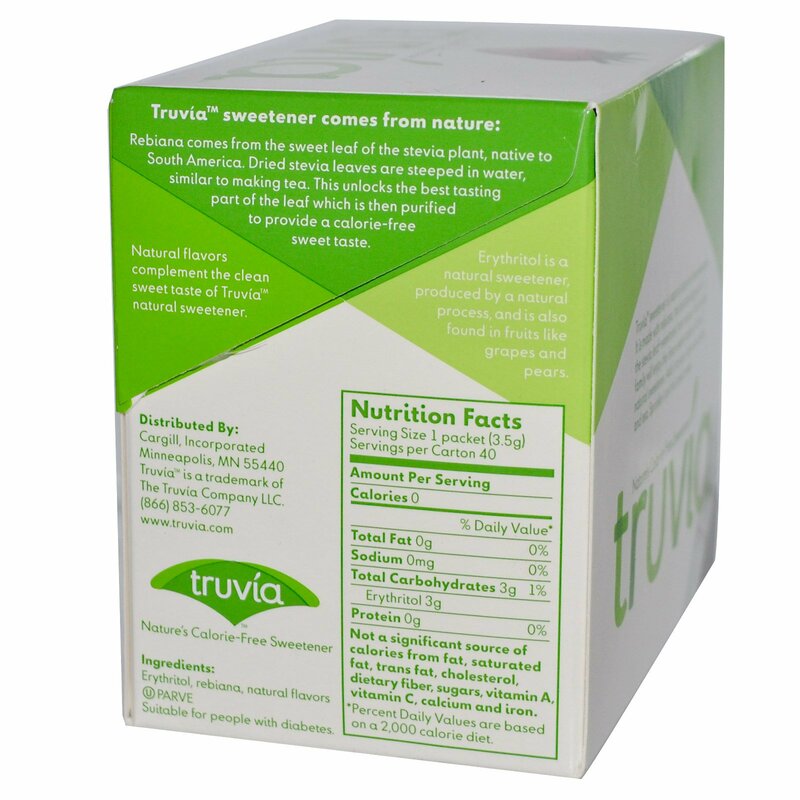 One packet of Truvia natural sweetener provides the same sweetness as two teaspoons of sugar. 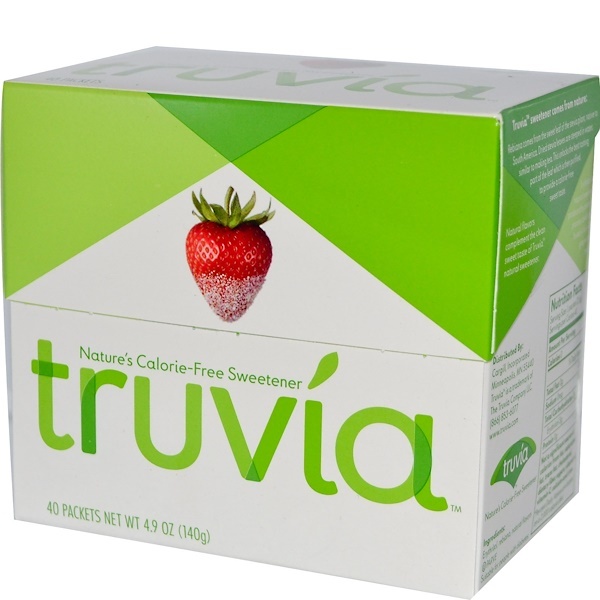 Truvia sweetener is a natural calorie-free sweetness. It is made with rebiana, the best tasting part of the stevia leaf-sweetness from nature. Your whole family will enjoy the clean sweet taste of Truvia Natural Sweetener. Add it to your favorite coffee and tea. Sprinkle it on fruit and cereal.